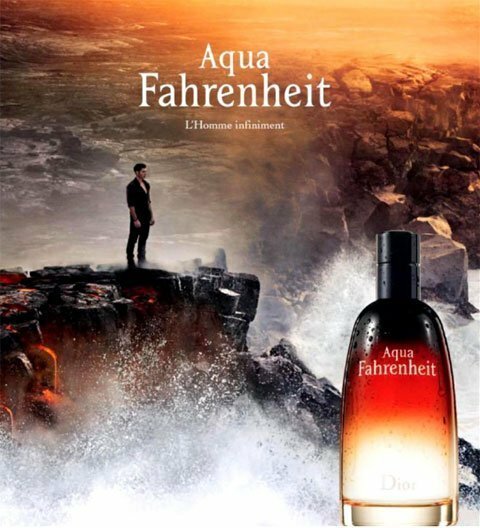 Aqua Fahrenheit is a perfume by Dior / Christian Dior for men and was released in 2011. The scent is fresh-spicy. It was last marketed by LVMH. Dior Aqua Fahrenheit is a bright, transparent and greener reinterpretation of the Classic Dior Fahrenheit. The citrus burst in the opening is refreshing and juicy; mint soon enters the composition introducing the green theme which accompanies the wearer throughout the day. Mint - Basil - Patchouli - enough Vetiver to balance the green dewy sweetness of the aforementioned notes. Once the citrus has faded Violets spring to life and bring a floral lightly powdery element to the green party. The citrus-green top and aromatic-floral mid are supported by a woody leather accord, which draws inspiration from the Classic Fahrenheit Base. The fragrance is pleasant, François Demanchy has proven his skill in creating a balanced, greener, lighter but not watered down homage to a wonderful Classic, which does not stray off onto the beaten aquatic path of modern mens perfumery. A pleasure to wear! 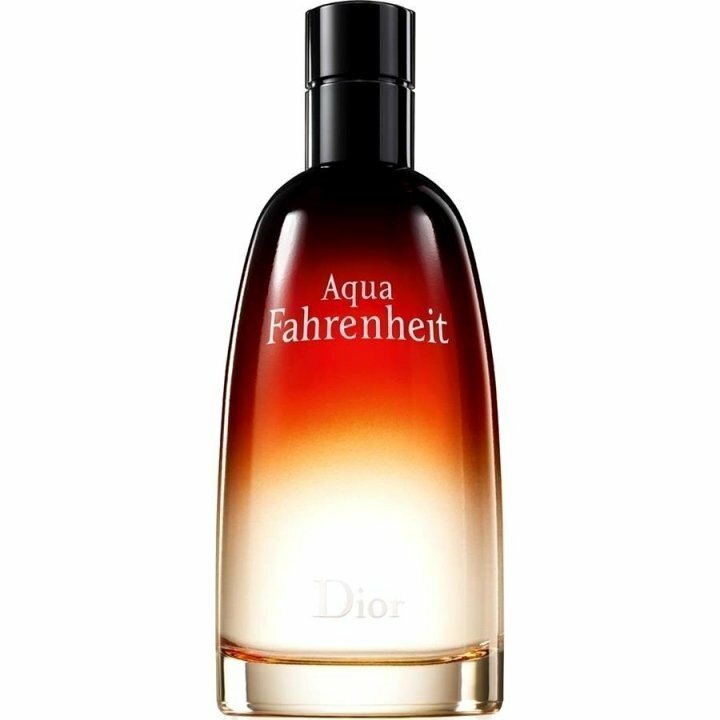 Aqua Fahrenheit is a new take on the original Fahrenheit, with a concept of "fire meets water", hence the "Aqua" prefix. 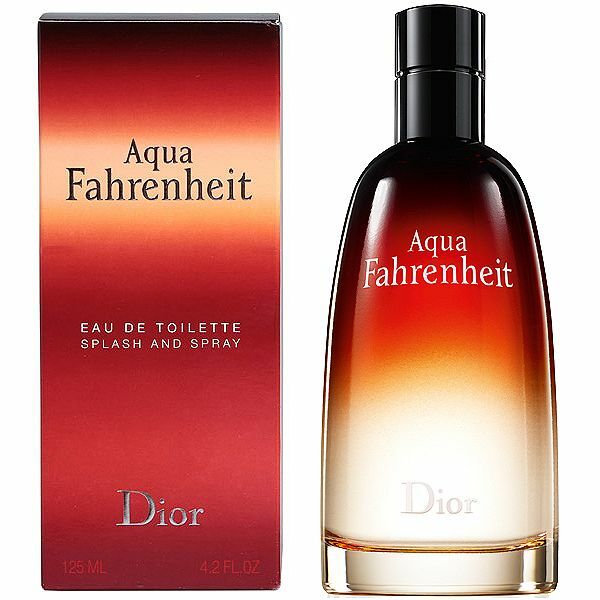 To me, I think this is a lighter, summer version of the original, a kind of "Eau de Fahrenheit" almost. It has a huge citrus note, provided by grapefruit, and this stays throughout the life of the fragrance, only drying down to original Fahrenheit at the end. You still get the violet leaf/leather (ie the "petrol" note) combination in the background, but the top and middle of the fragrance is dominated by the Grapefruit and Mandarin. I also get the mint and herbs, which combine with the citrus to give it a fresh feeling. If I had to give it a name, I would call it Fahrenheit "fresh", because if you found the original stuffy and "too much", then give this one a try. It's a great clean, citrus take on the original "dark" and "heavy" Fahrenheit, and it can be worn all year round in my opinion. New, original take on a classic from Dior. Really good stuff. This is a good flanker of original Fahrenheit. Fresh and comforting, it does really remembers the original scent but there's no smell of gasoline that many dislike. I smell a nice grapefruit note combined with violet and leather. Good lasting power (about 8 hours), sillage and projection. Better than latest "sport" releases. Worth a try at least. Thumbs up!